If you think everything Nintendo did in the early 1990s outside actual video games sucked, well, no! Sure, there were some awful TV shows, but not everything was bad. 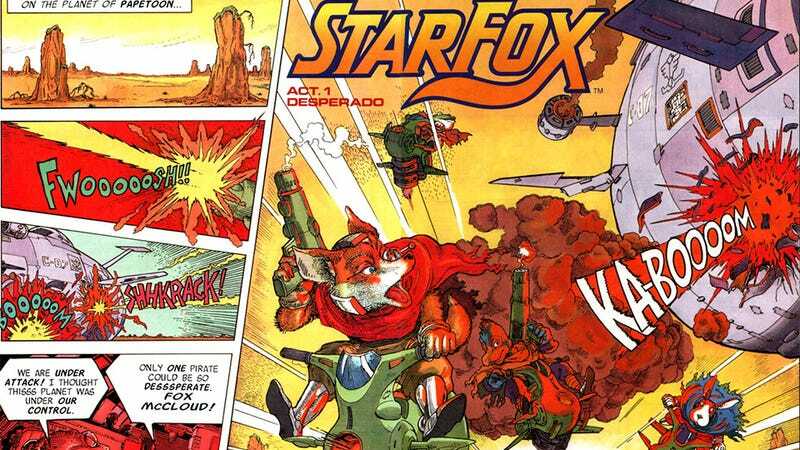 This Star Fox comic, for example, was great. It ran in Nintendo Power magazine in 1992, and had - considering the scale of the project - some pretty good art. The writing wouldn't win an Eisner, but then, this is a series whose most memorable line is DO A BARRELL ROLL. It doesn't need to be Shakespeare.